From your morning cappuccino to your afternoon espresso right through to your after-work americano, your coffee is an important part of your day. We at Coffee Solutions know that there’s nothing like drinking coffee out of your favourite cup but when you’re on the go we’ve got the next best thing. Our brand new range of exclusive paper coffee cups will bring you not just convenience but the height of coffee enjoyment when you’re sat at your desk, heading to your car or on route to your morning meeting. So what is it that makes our coffee accessories so special? Have you ever ordered a coffee from your local coffee shop only to find it’s too hot to hold? 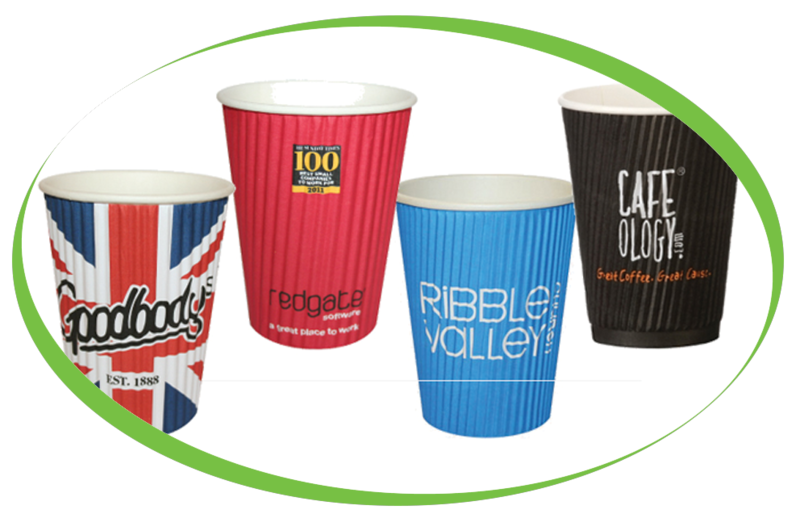 You’re left struggling with napkins or using extra material on coffee slips to keep from burning your hand, we have a better way; our double walled/ripple paper cups solve all of the common inconveniences that come with drinking coffee on the go. Our cups are specially designed to retain the heat inside the cup so your coffee stays piping hot for as long as possible, while all the time protecting your hand from the contents. The cup does this through its dual layers which act in the same way as a thermal flask: the air is trapped between the layers which means the heat from the coffee is isolated on the inside layer while the outside stays cool and your hand stays comfortable. Our stylish green and black single walled cups are specially designed for your convenience; they fit underneath most styles of automatic coffee machines so you always have a perfect fit with no spillage. The cups come with a 9oz capacity or a 12oz capacity so you’re free to take your pick. Trust Coffee Solutions not just to bring you the most delectable coffees from all corners of the globe, but to bring you fantastic accompaniments from the cups to the machines. For more information on our exclusive coffee blends or any of our products get in touch today on 01223 833 661 or contact us online and we’ll help you find what you’re looking for.